On Radical Self-Acceptance, this respected clinical psychologist and Buddhist meditation teacher shows you how to free yourself from the grip of your insecurities about being "good enough." 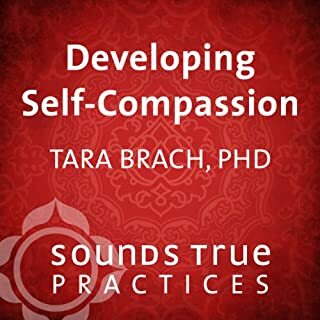 With insights from both Eastern contemplative traditions and Western psychotherapies, Dr. Brach guides you through a full program of meditations and skills you need to become more compassionate toward the "unforgivable" parts of your self. As Dr. Brach says, the most difficult - and pervasive - challenge to Westerners today is the suffering caused by our feelings of unworthiness and self-aversion. 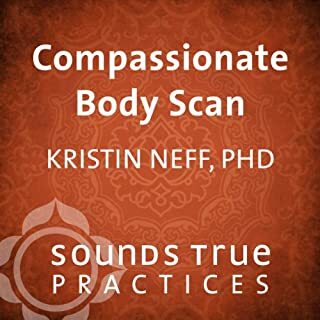 Radical Self-Acceptance offers a way to break out of this emotional prison, so you can discover the freedom that comes with kindness and true appreciation of yourself and others. Short and to the point, this series of four lectures and exercises taught me new techniques in mindfulness that were easy to use and immediately beneficial. I enjoyed it so much I immediately listened through for a second time. I also intend on listening to this again with my husband and daughter. 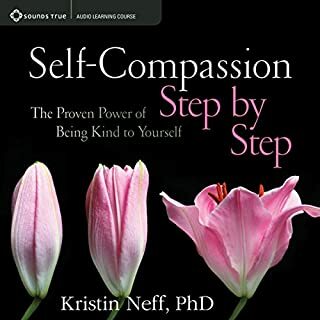 A must read for those who struggle with self compassion. Would give 6/5 if I could. Highly recommended. 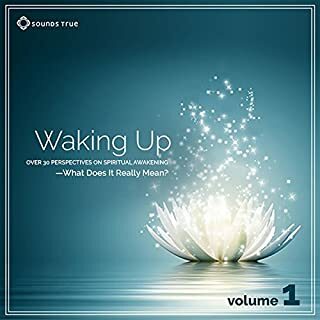 Helped me gain understanding and reach new levels of insight into my life and self. 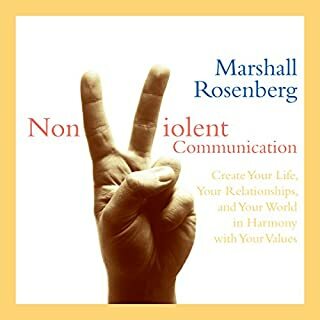 Great book, would highly recommend for people who would like to learn an efficient and wholesome way to manage emotions. 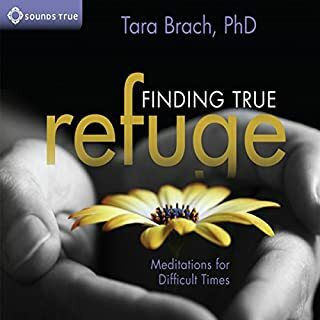 Tara has a beutiful voice, I am glad she read her own book and it will really help you to connect with yourself. Overrated, not suitable listen while driving etc. I think this book is bit over rated. I bought it by looking at reviews but didn't find that great at all. 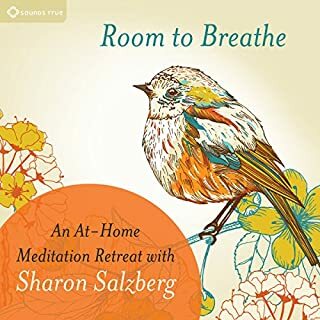 May be, I was not expecting long pauses in the book reading for breathing and meditating. I listen while driving and walking, obviously don't want those frequent long pauses asking me to lie down calmly and breath! All the self-esteem books in the world will not help you if core issues of unworthiness remain. This series of four talks from a primarily Buddhist perspective approaches this often painful issue in a supportive, nonjudgmental manner. Suggest that you bookmark the meditations as you go along. The narration by Tara Brach is perfectly suited to the material. What did you love best about Radical Self-Acceptance? This book vividly captures the pervasive wave of self aversion that has gripped many of us. It also provides an attainable way out of self aversion and into true self acceptance. Brach presents a unique and powerful approach to solving some of life's most frustrating and challenging dilemmas. Helpful wisdom in a kind and generous way. Tara's voice is much more powerful than reading. 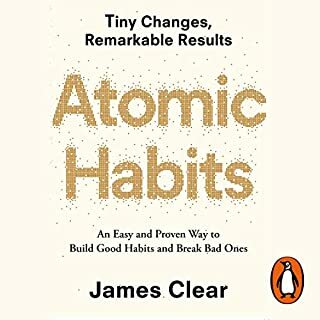 I've listened to this over and over, each time absorbing a bit more. Knowing certain lessons are important, but I haven't quite acknowledged them internally. Getter closer with each day. Enlightenment. It is one of the best things I have done for myself. 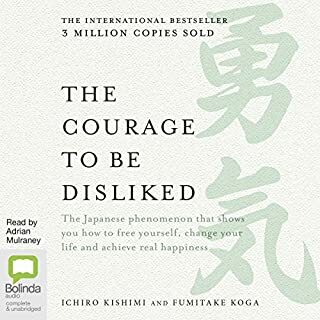 This audiobook helped me to understand my (strong negative) emotional reactions, to accept them and to "deal" with them. 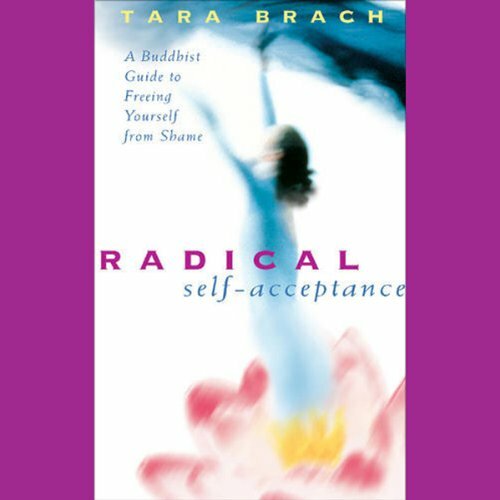 Tara Brach is right on point describing the issues with and ways to self-acceptance. She breaks down our mislead thinking and behaviour and gives many examples for easy understanding. Short guided meditations help to deepen awareness of our emotions and to accept us as we are. What about Tara Brach’s performance did you like? Tara Brach's voice is soft and her speech flow is natural. It is easy to follow. She gives you time to reflect. this is a great book. It really helps you look at yourself in a different and healthier light. I would reccomend it to anyone who wan to know themselves better and love themselves better. Tara Brach is an excellent teacher. She takes her years of experience and applies her psychological training to give you a very Western friendly approach to dealing with your self. 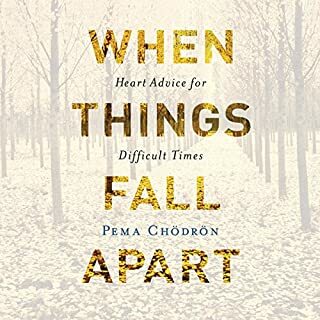 The title is no lie, it is fundamentally a guide to accepting yourself with all your problems and short comings. 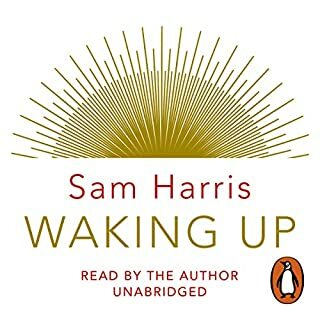 Where does Radical Self-Acceptance rank among all the audiobooks you’ve listened to so far? What does Tara Brach bring to the story that you wouldn’t experience if you just read the book? What did you learn from Radical Self-Acceptance that you would use in your daily life? Shame can dictate your life but try not to allow this. Her peaceful voice guided me through my areas of fear and pain. I will listen to this many, many times. 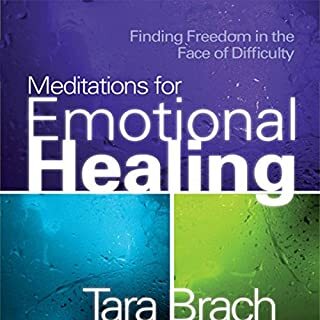 Tara Brach has opened my heart in a way that no other teaching has. Accepting and loving all parts of myself, especially the shadow, feels like the beginning of a beautiful journey. 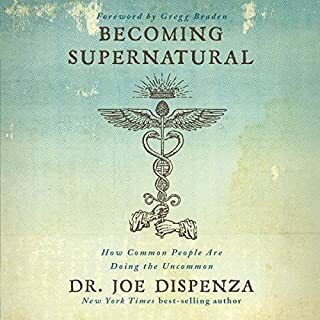 Highly recommend to anyone dealing with inexplicable pain, anxiety, ocd, panic or any other variation of what is in truth the simple and unconscious act of self aversion. How pleased I am to discover the work of Tara Brach on Audible. Her words are truly life changing. 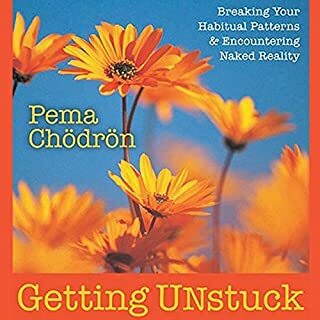 I try to begin every day listening to some of this book and have found it not only uplifting and inspiring but a huge help in understanding myself and in practising self compassion. Wonderful to be personally led through this difficult topic by Tara. 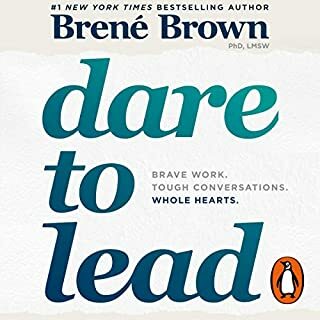 She has such a beautiful voice (I'm from the UK & I love her gentle US accent) and conveys her words with such warmth that it feels life you are having a personal coaching session with her. 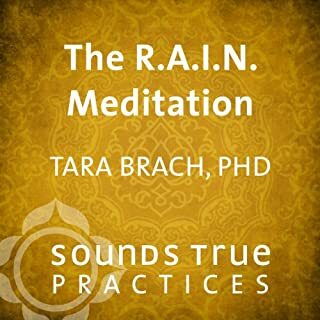 I always try to listen to Tara rather than only reading her as it makes her teachings so very accessible. Read with loving kindness Tara takes on a journey to find true live. Self love. Practically explained in four beautiful steps whilst drawing much from the Buddhist tradition the knowledge imparted is applicable to us all. One minor criticism: gong/bell at end of the meditations made late-night listening less enjoyable, as the material is otherwise brilliantly suited to soothing a bout of insomnia if it weren't for the sudden unexpected harsh gong sound just as you're finally drifting off! if you've ever struggled with loving yourself or self acceptance then I would definitely recommend this audio. This book has great content and so so many great teachings within. I found it a bit fast paced ... By that I mean so many poems, quotes, stories etc were coming at you, I think I'd need to listen / read more than once to take it all in. 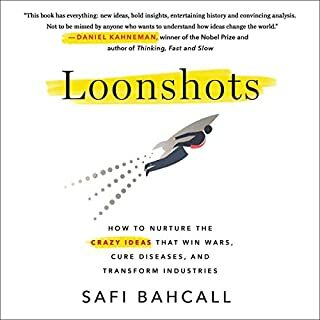 This book is enjoyable and relaxing to listen to - and yet full of life changing, pain relieving, revolutionary ideas. Thank you Tara for helping me so deeply with your gentle voice and beautiful and enlightening words.